Media Mikes Gives Ghost Brothers a 4 out of 5! 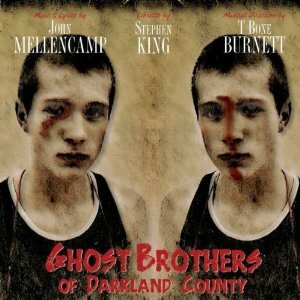 Check out the 4 star review of Ghost Brothers of Darkland County by Media Mikes! “Ghost Brothers of Darkland County” is a very unique release. It comes from the great talented minds of Stephen King, John Mellencamp and T Bone Burnett. It was originally a musical stage performance, which was performed in Atlanta in April of 2012. So what is this actually?